The New York Times ran a story last week highlighting how the cost of college continues to climb and now the message from New York University to its students is, “Finish faster.” The report noted that about 20 percent of its students had already “graduated ahead of schedule.” The story also featured how other public colleges in the U.S. are promoting early completion by “allowing more credits from high school or technical programs.” Here in Elk Grove Unified, that’s exactly what the Department of College and Career Options has been busy with –Helping to prepare students to be college and career ready even before they graduate. According to Kathy Hamilton, director of the department of College and Career Options, “We’re working closely with the Los Rios Community College District on aligning and articulating high school courses with college courses to make earning college credit possible for high school students without the cost of tuition fees.” An example of how Elk Grove Unified is preparing students is by taking the concept in high school shadow days and expanding that to college shadow days. A typical shadow days is when a high school invites middle school-aged students to the high school to attend school with an upper classman. That same concept is exactly what six high schools in Elk Grove Unified did this month. 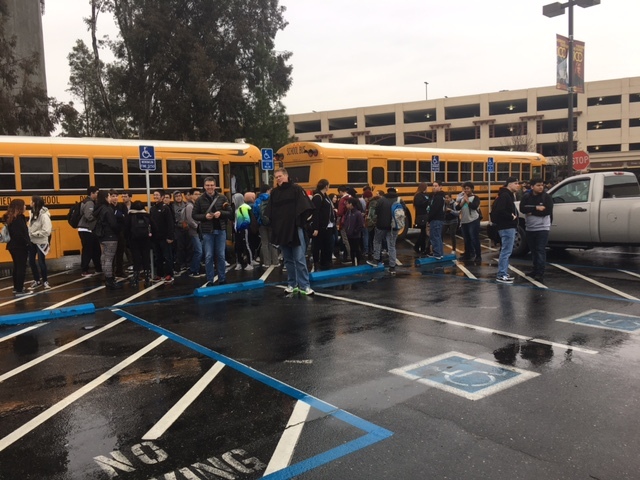 Students from Cosumnes Oaks, Elk Grove, Franklin, Monterey Trail, Pleasant Grove and Sheldon high schools were “students for a day” at Sacramento City College (SCC). Kicking the day off in a room-filled with 150 Elk Grove Unified students, Aphton Corbin, a Pleasant Grove High School graduate whose dream of becoming an animator came true, caught their attention as the keynote speaker of the inaugural Arts, Media & Entertainment (AME) Day at Sacramento City College on February 2, 2017. 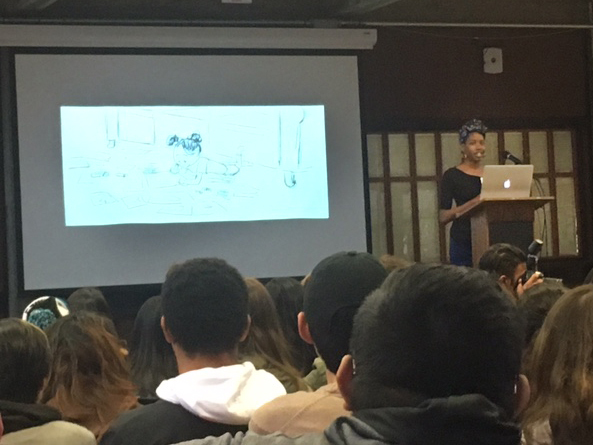 With the goal of introducing high school students to the arts, media and entertainment-focused programs that exist within the Sacramento region, Aphton shared her story of how she was focused on being an animator while a student at Pleasant Grove, Sheldon, SCC and, later, at Cal Arts College in Southern California. 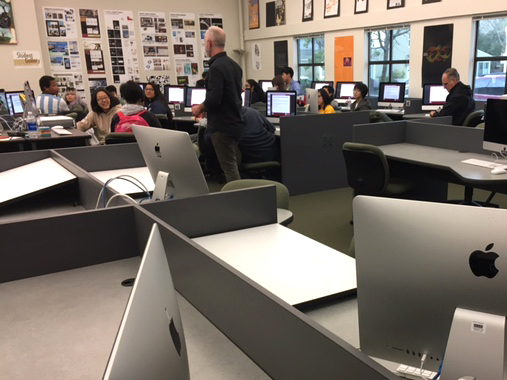 The students, from the six EGUSD Arts, Media & Entertainment pathways, participated in this special college shadow day with hands-on workshops in Animation, Graphic Design, Photography, Theatre and Theatre Tech hosted by SCC professors. 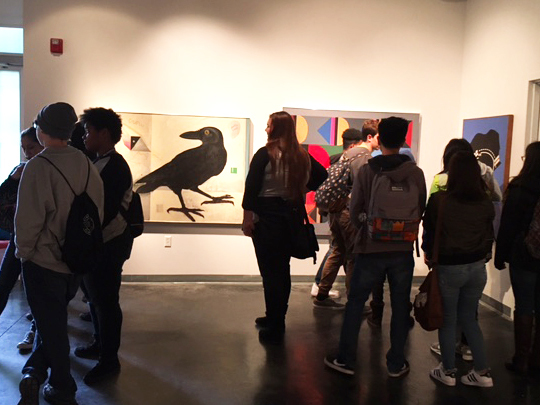 During a campus tour, students saw the amazing, high-tech and industry ready facilities that house the Graphic Communications (GCOM) programs and stopped to visit the Solomon and Kondos Galleries that feature art from locally renowned artists. 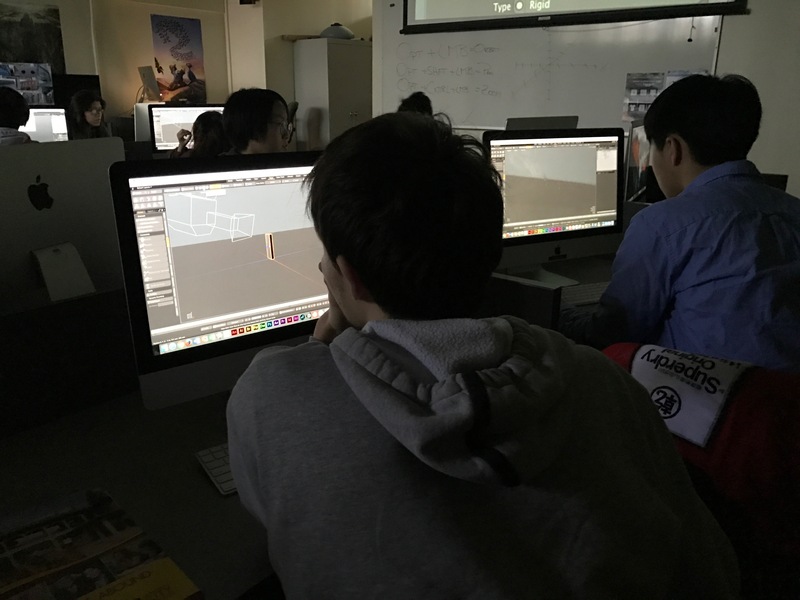 Students learned about services for incoming students and what programs exist to further their interest in animation, graphic arts, photography and theater. 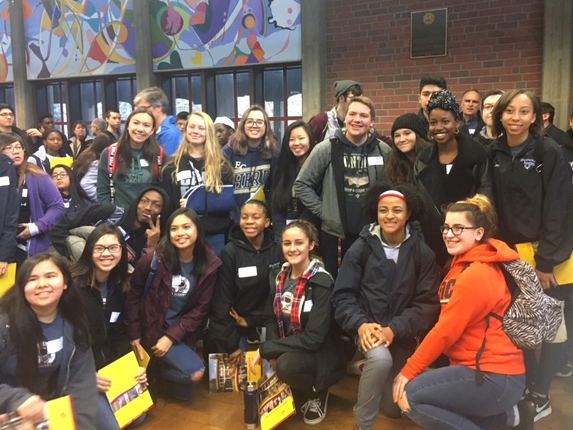 Events like the AME Day at Sacramento City College (SCC) aim to introduce post-secondary options for students to consider and are specifically geared toward students who are already enrolled in high school programs that offer articulation credit at SCC. The articulation partnership reinforces the advantages that are in place now for high school students ready to walk onto the community college campus because they’ve already earned one to two college courses already in high school. Earning up to six college credits from their high school courses translates into savings and the opportunity to finish college earlier. For Aphton, her advice earlier in the day was repeated throughout her speech, “Keep drawing! Keep drawing!” For her, that’s what helped her land her dream job at Pixar, and it’s the type of motivation that may help all of “students for a day” land their dream job too, plus, they can now start early and finish faster.